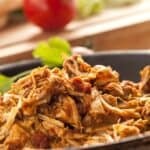 This simple, 2-ingredient Weight Watchers Friendly slow cooker salsa chicken recipe could NOT be easier. 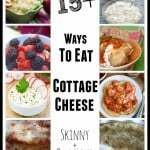 It’s one of my go-to recipes perfect for busy days. Salsa is one of my favorite healthy, low calorie, 0 points seasonings. 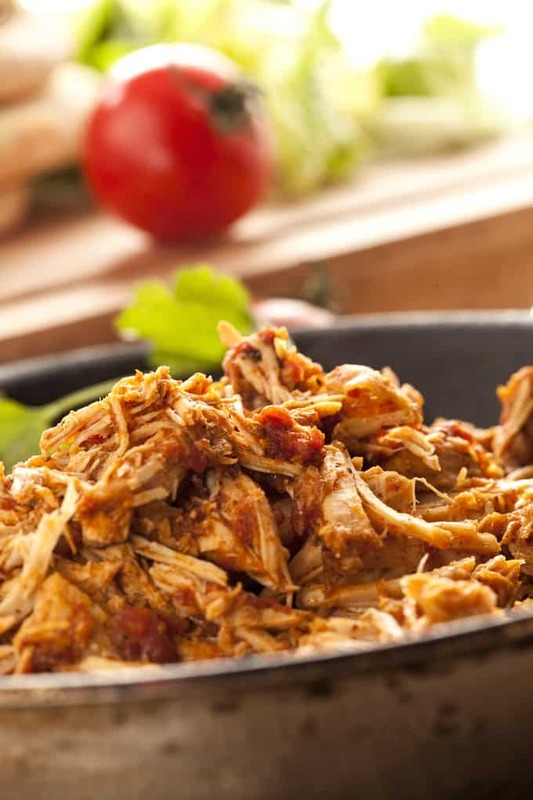 If you love Mexican shredded chicken, you will want to give this easy 2-ingredient slow cooker recipe a try. 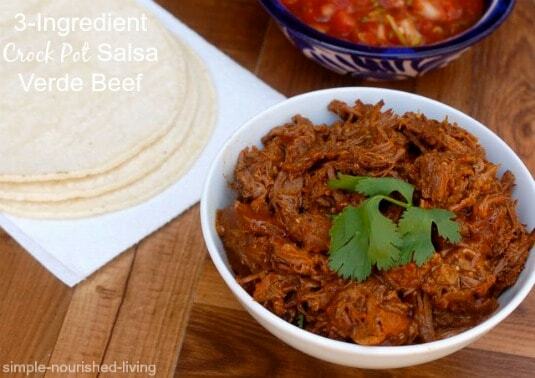 You can use this shredded slow cooker salsa chicken all kinds of ways. 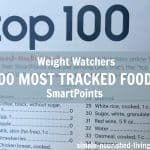 In tacos, burritos, burrito bowls, enchiladas, taquitos, quesadillas, or sandwiches. With rice and vegetables. I like it on top of salad because the salsa acts as a great dressing. 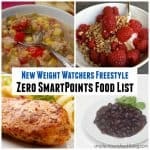 According to my calculations, each serving has *4 Weight Watchers PointsPlus and *2 Weight Watchers Freestyle SmartPoints. If you decide to use lean, skinless, boneless chicken breasts to make this salsa chicken, each serving will be *0 Freestyle SmartPoints. Enjoy! different salsas: there are so many choices available today – red, green, chipotle, black bean, fruit, etc. more veg: add chopped onion, bell pepper, jalapeño, corn, etc. 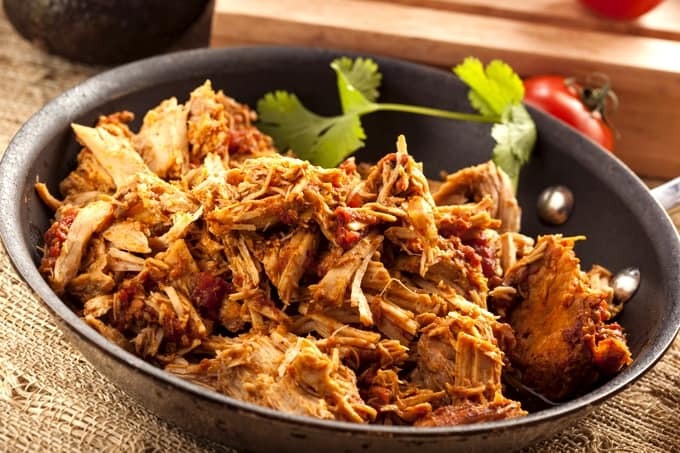 If you’ve made this Shredded Low-Carb Salsa Chicken, please give the recipe a star rating below and leave a comment letting me know how you liked it. And stay in touch on Pinterest, Facebook, Instagram and Twitter for the latest updates. 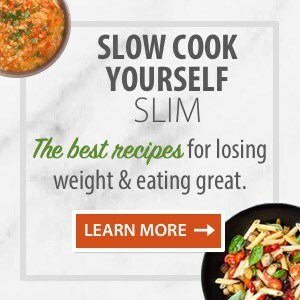 This is the EASIEST slow cooker recipe EVER! 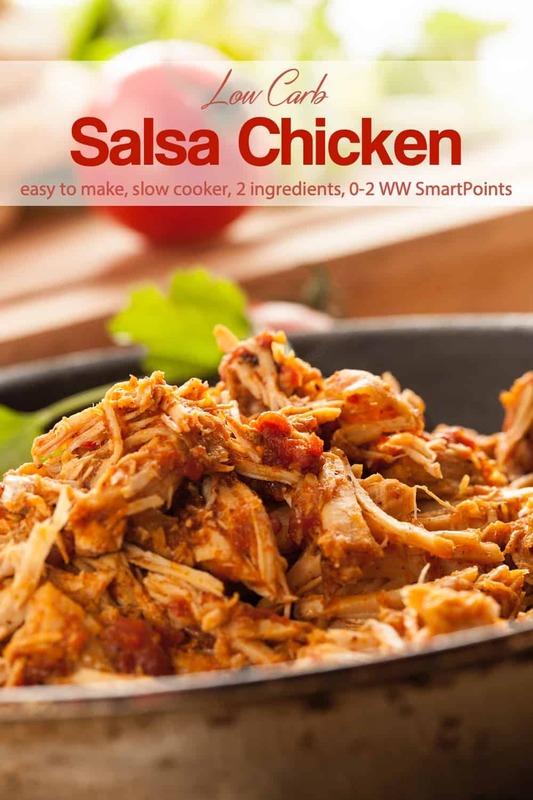 Just TWO ingredients: salsa and chicken makes delicious juicy shredded chicken that can be used in tacos, enchiladas, over rice, over salad and more! Place the chicken in your slow cooker. Top with the salsa. When cooked, remove the chicken and set on a large plate or cutting board and shred with two forks. Add the shredded chicken back into the crock pot with the pots juices. Season to taste with salt and pepper, if desired. When you list a recipe each item is an ingredient. You don’t list the ingredients that might be in an ingredient. This was a brilliant, healthy alternative to pulled pork. Thanks so much! Hi Victoria, Yes it will work with boneless chicken breasts. You’ll just want to watch the time more closely so they don’t dry out. 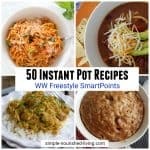 With my slow cookers they are usually done on low in about 4 to 4.5 hours. Hope this helps! 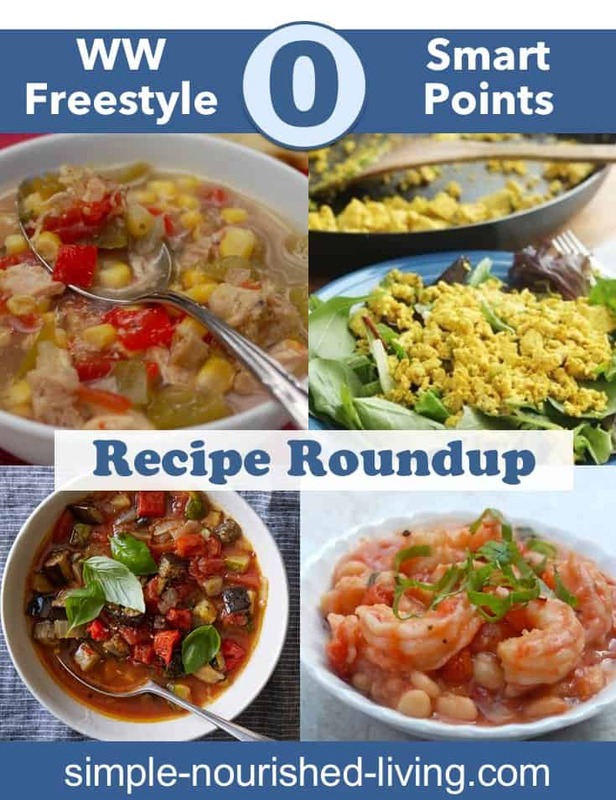 Thank you for all the work you put into sharing these delicious recipes. Hi Jen, Thanks so much for letting me know! I really love hearing this. Looks so good, can’t wait to make it. 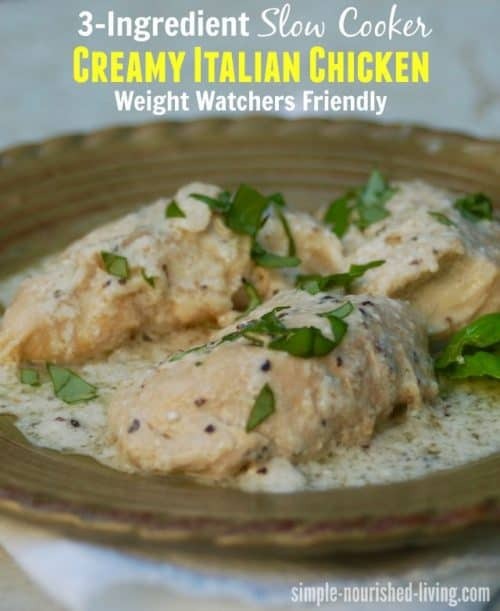 Do you use frozen chicken or should it be thawed first? Hi Joanne, I use thawed chicken. 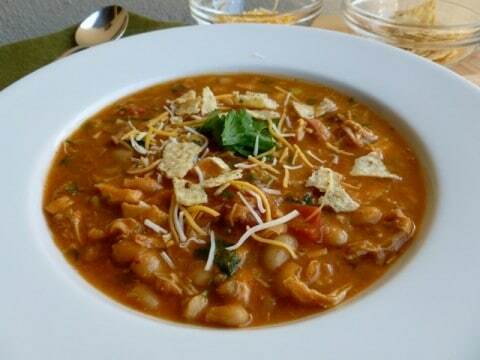 Some people use frozen, but the food safety authorities say that thawed is best. I made this for dinner last night and both my hubby and I really enjoyed it. We’re trying hard to eat healthier and this is a very tasty way to do that. 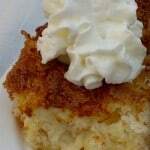 Hi Barbara, so glad to hear that both you and your husband enjoyed it! Eating healthier is an ongoing practice. The key is to just stick with it and slowly, steadily your tastebuds will change! 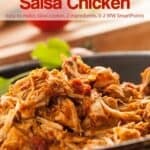 I would like to print this recipe for the salsa chicken to keep in my binder but I’m not seeing an actual recipe with portions, points, etc. It just has the recipe for the bbq chicken. Is there a link somewhere so I can print it? Thanks so much!! This has been corrected so you should be able to print it! HI! I am looking for a recipe to use turkey thighs. 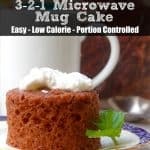 Do you think this would work with this recipe?